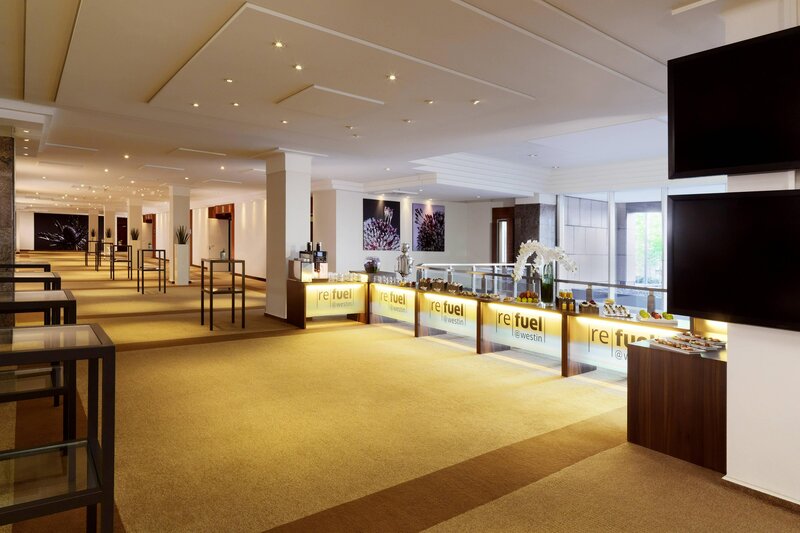 Find us in the heart of bustling Frankfurt. The trade fairgrounds, Zeil Shopping street, the Roemer and the Museum Embankment can be reached in minutes by car or on foot. Find alluring high-end shops on the nearby, pedestrian-only Goethestrasse. 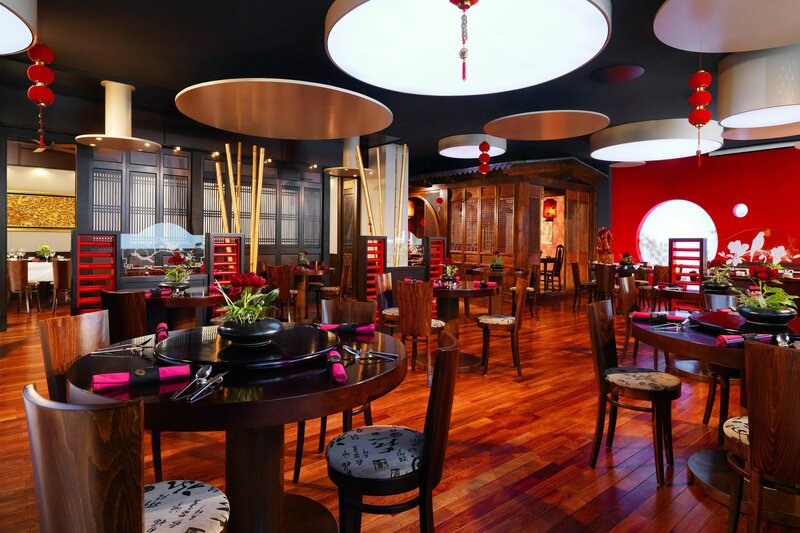 Delight your palate in one of our four restaurants, serving delicious Western and Asian fare. Renew your body at our WestinWORKOUT® Fitness Studio or Emotion Spa. 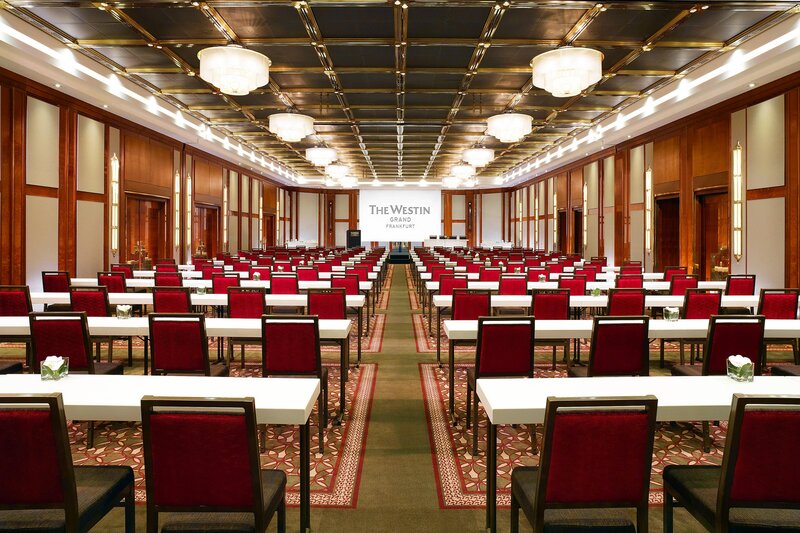 Our non-smoking hotel offers 13 meeting rooms for up to 500 guests, plus the Westin Executive Club Lounge. This elegant cosmopolitan hotel offers 371 recently-renovated guest rooms and suites, all furnished with the luxurious Heavenly® Bed, a Heavenly® Bath and a flat-screen TV. All rooms feature an upscale marble bathroom with in-floor heating. Due to its central location, Frankfurt is known as the “Gateway to Europe." Frankfurt offers a fascinating mix of architecture, with modern glass high rises looming over traditional red brick churches. Located right in the heart of the inner city, the hotel is the starting point to discover the architecture, cultural highlights and to get inspired by great shops and stores just around the corner. 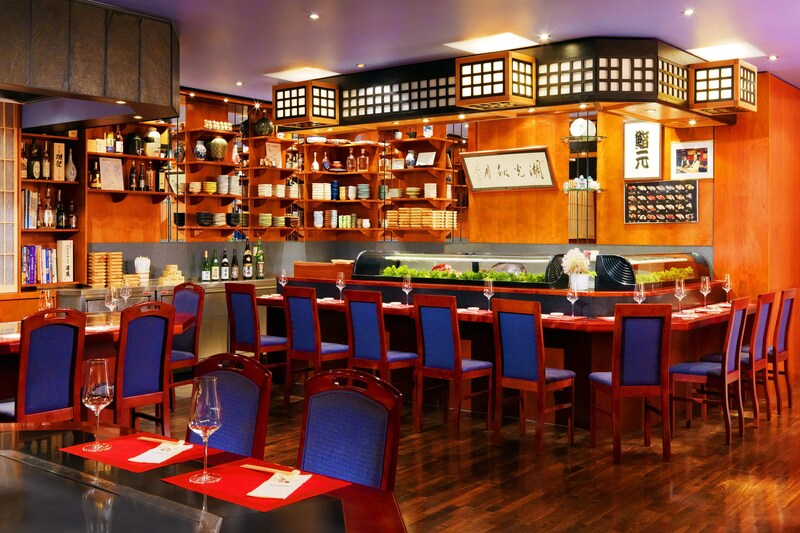 Three restaurants and a bar offer new and well-loved pleasures of the palate, with traditional Japanese cuisine at Sushimoto or Chinese cuisine at San San. GrandSeven Restaurant & Bar, located in the heart of the hotel, is the place to be at every time of the day. It is an elegant bar, a cozy lounge and an inviting restaurant at the same time and offers fresh food tuned with aromatic herbs and creative, classic and healthy cocktails as well as special events throughout the week. All 371 rooms and suites are decorated in warm shades and tones and are equipped with modern furniture, a flat screen television and the Heavenly Bed®, which guarantees a great night’s sleep. The elegant marble bathrooms have under-floor heating as well as the Westin Heavenly Showers®. Treat yourself to a Westin Club or Grand Deluxe Room or a spacious suite, which features exclusive access to the Westin Club Lounge. The Upscale Westin Club ensures an unforgettable experience with great privileges and amenities. Designed to please the most demanding guest, it makes business travel more rewarding and leisure travel more relaxing. Frankfurt is not only located in the middle of Germany but it is also right at the heart of Europe. 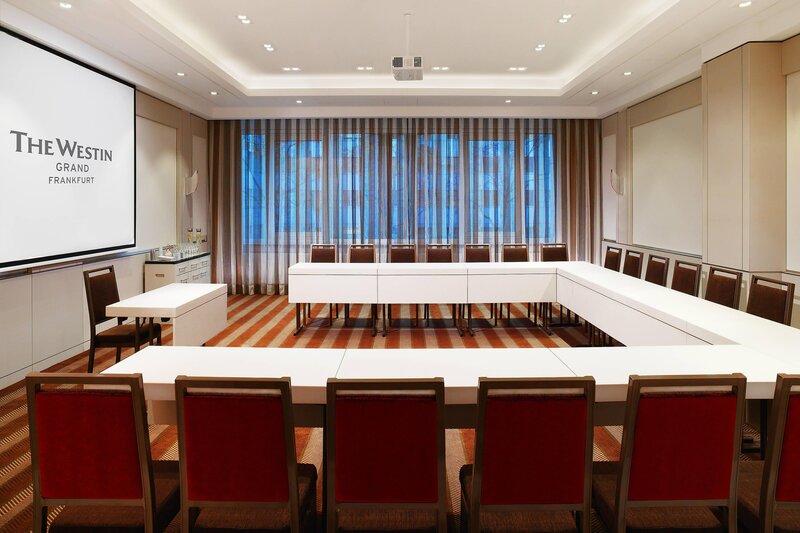 Infinite meetings on over 1,600 square meter dedicated meeting floor - it is second to none and is one of the best conference facilities the city has to offer. Fully equipped with the latest technology, they provide the perfect venue for business or private occasions, accommodating from ten to 1.000 participants.